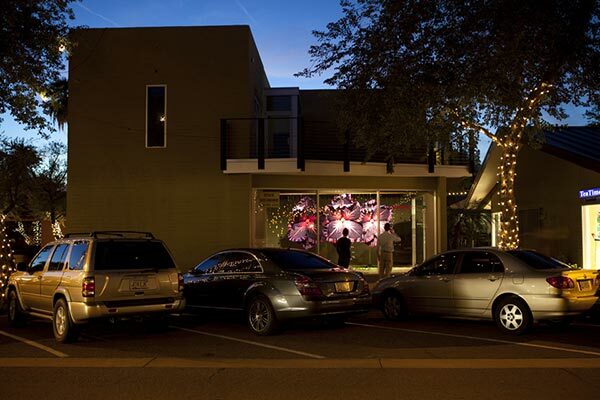 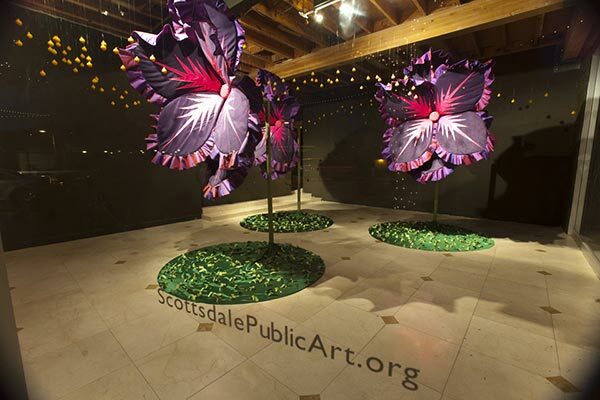 Tempe artist Melissa Martinez created larger than life flower sculptures—a visual flurry of colors and shapes—as a representation of the pollination of Downtown Scottsdale with new art and ideas. 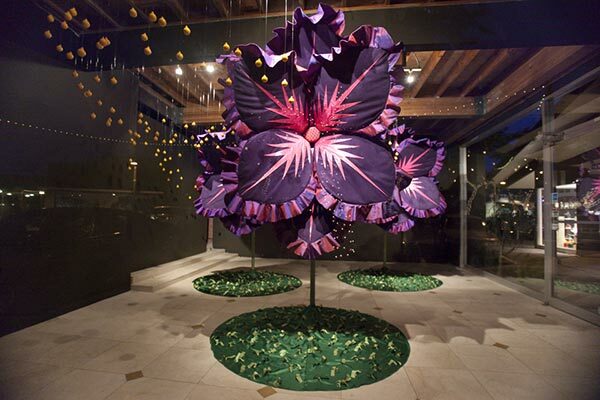 The work consisted of many layers of lush fabric and colors that popped, along with swirls of bright yellow pollen balls flowing out from the oversized blooms, giving the space a sense of motion. 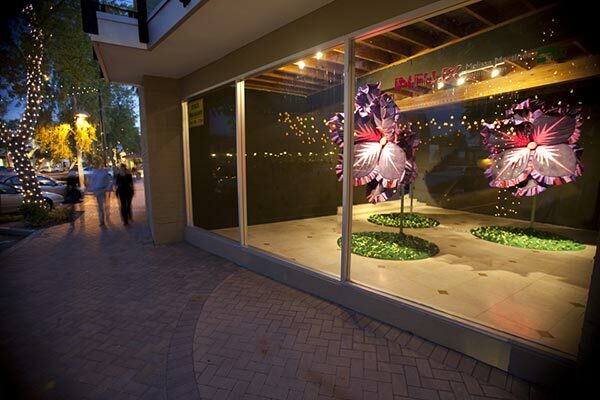 The positive energy and beauty of this artwork enlivened the surrounding commercial areas—a visual demonstration of the intention of IN FLUX as a whole.